An oasis in the desert with thousands of waterfowl and shorebirds visiting the lake during fall and spring migration. Background: Little Lake is one of the few remaining quality wetlands in the vicinity. It is an oasis in the desert with thousands of waterfowl and shorebirds visiting the lake during fall and spring migration. It is also known for the diversity of raptor and swallow species that use the cliffs or forage over the wetland habitat. The interpretive panels provide information on birds, geology, and archaeological history of the Little Lake area. In addition to a large diversity of birds, many interesting native plants grow here. This area was heavily used by Native Americans who mined obsidian in the Coso Mountains to the east. Ancient foot trails traverse the slopes a few miles to the south of here, and lithic scatters are also evident. The area also has interesting volcanic features, such as cinder cones and lava beds. In addition, interesting fault features are evident along the front of the Sierra Nevada Range. The ancient Owens River flowed through the area leaving the 'fossil falls' a few miles to the north. The Habitat: Little Lake Overlook is located in desert shrub habitat with a diversity of native plants. The overlook provides views down onto an open water lake and wetland habitats, as well as cottonwood/ riparian habitats. The Experience: The site provides views down onto Little Lake, which is one of the few remaining quality wetlands in the vicinity. It is an oasis in the desert. Little Lake is located in the Owens Valley Corridor of the Pacific Flyway. Thousands of waterfowl and shorebirds visit Little Lake during fall and spring migration. Large flocks of American White Pelicans can be seen migrating overhead. Raptors, such as the Prairie Falcon, nest on the cliffs above Little Lake. Several raptors can be observed hunting in the area, including Redtail Hawks, Northern Harriers, Ospreys, Golden Eagles, Sharp-shinned Hawks, Coopers Hawks. Peregrine Falcons migrate through the Owens Valley. Several kinds of swallows also occur here because of nesting sites on the cliffs and insects in the wetlands at Little Lake. The overlook is located in native desert shrub habitat with a variety of upland desert bird species, lizards, wild flowers, and native plant species. 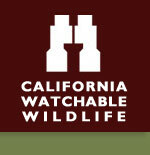 Viewing Tips: Birding - spring and fall, Wildflowers - spring, Year-round vistas of Little Lake and the Sierra Mountains. Year-round enjoyment of geologic features. Site Notes: Little Lake Overlook offers scenic vistas of Little Lake and the Sierra Nevada Mountains. Visitors should bring binoculars and a spotting scope to fully enjoy the bird-watching opportunities here. Visitors can observe a variety of lizards and resident birds in the desert shrub habitat, as well as raptors, swallows, water fowl, and shore birds that use the cliffs, lake, riparian, and wetlands habitats. When the desert shrubs bloom in April and May, visitors can enjoy the vivid blue blossoms of indigo bush and the intense pink of beavertail cactus. There are benches at the overlook where visitors can picnic while enjoying the expansive views of the Sierras and the Owens Valley. Visitors will enjoy the interpretive displays at the overlook where they can see photos and read descriptions of the birds, geology, and Native American archaeology of the area. Visitors can find fascinating geologic features in all directions. The red cinder cone is to the north, ancient volcanoes and lava beds to the east and south, with the dramatic peaks of the Sierras to the west and north. How to Get There: North bound: Travel north on Hwy 395 for a distance of 24 miles from the juction of Hwy 14 and US Hwy 395 near Inyokern, California. South bound: Travel 6 miles south of the Coso Rest Area on US Hwy 395. Turn east onto Cinder Road at the signs for Fossil Falls/ Little Lake. Little Lake Overlook is located 4.9 miles from the Highway. Travel past Fossil Falls about 2 miles to the Power Line Road. Turn south (right) on the Power Line Road and follow the signs to Little Lake Overlook for about 2.75 miles. Turn west (right) to entrance. Physical Address: 300 S. Richmond Rd. Ridgecrest, CA 93555 Agency 2: 300 S. Richmond Rd.